Sharing a table with family and friends in celebration of tradition and great food is what makes Thanksgiving my favorite holiday, and I know I’m not the only one. Thanksgiving is about our cultural demonstration of collective thanks, expressed by a delicious meal…followed by football. Hosting the biggest feast of the year can be intimidating, but I’ve compiled a few of my foolproof recipes to help ensure a successful and delicious menu. 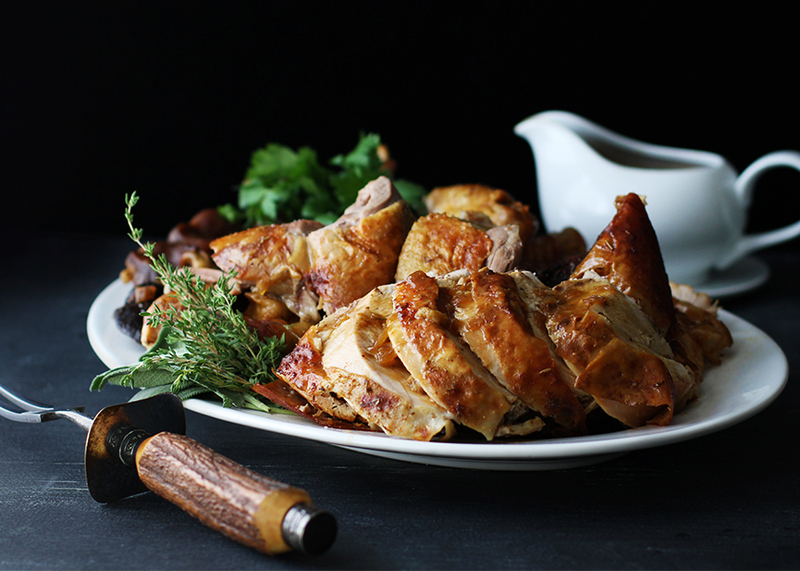 For the traditionalist, check out my tips for brining and roasting a whole turkey in the oven. Those with only a few mouths to feed should try a stuffed turkey breast. 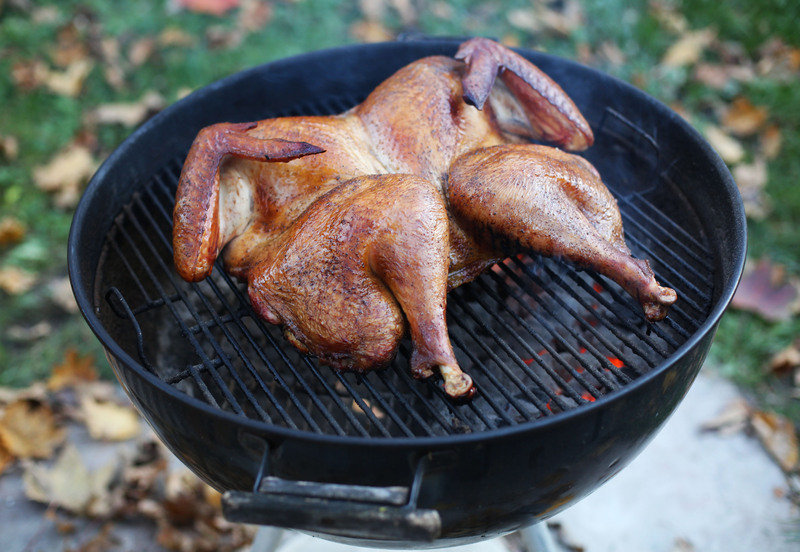 If you’re determined to fire up the grill, I’d suggest smoked turkey legs or a grilled spatchcocked turkey. A first-timer should consider my braised turkey with creamy gravy. If you can’t resist the crispy skin of a fried turkey, please don’t fry the whole bird, follow my instructions for fried turkey pieces instead. If you need a refresher on carving a turkey, check out this tutorial or this video.